My latest idea has been spreading a big spoonful of this mayonnaise on a Rusk/ Crisp Toast. This is best Tea time breakfast dish and very light in weight. 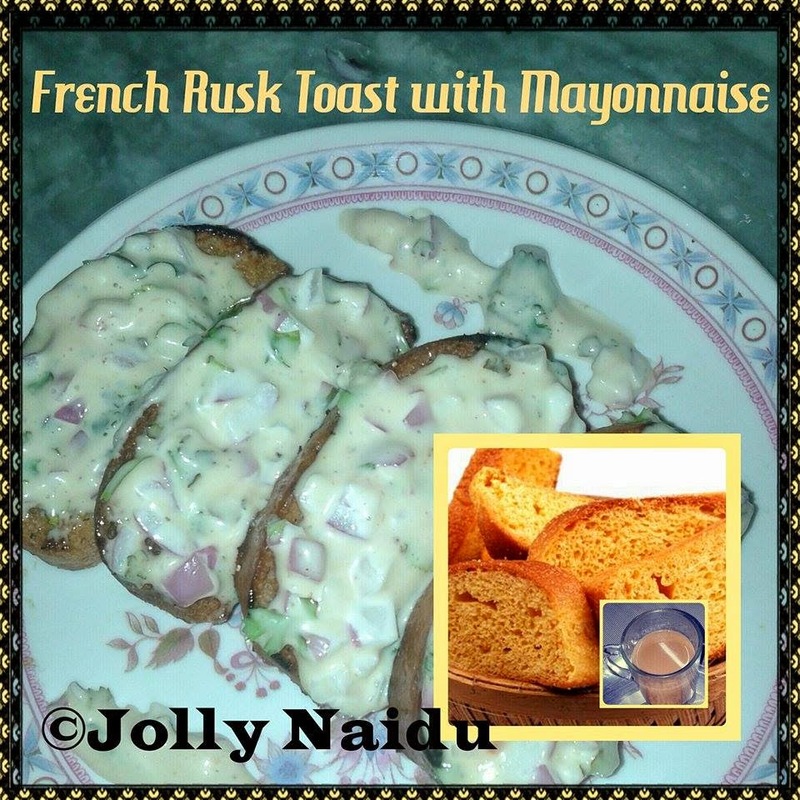 Crispy rusk toasted with butter and topped with mayonnaise. 2. Generously smear the butter on both the side of the rusk. 3. Mix together the grated cheese, mayonnaise, black pepper powder, chopped coriander leaves, onion and salt. Tip : Not much salt, since the mayonnaise & cheese already has some salt in it. 4. Top each rusk piece with the mixture. 5. Grease a baking tray with little butter/oil. Place the rusk pieces in baking tray and bake for 10-15 mins. 6. Serve hot French Rusk Toast with evening Tea.